I’m always fascinated by the people who lift huge weights, particularly in competitions like the Olympic Games. There are events for men and women and they get up on stage to lift a bar with huge weights attached. I often wonder what sort of things they’re saying to themselves as they pace up and down, rubbing their hands with resin powder and taking huge breaths. In the day-to-day tasks that we face in our life, we should be no different from these sportsmen and women. Think negative thoughts and that’s what your subconscious will focus upon. If you think illness, you’ll become ill. If you think gloom and doom – that’s what you’ll get. But if you think health, happiness and success – you’re already there. ‘Most people are as happy as they make up their minds to be’– Abraham Lincoln. I read this quote some years ago and I know some people have a problem with it. 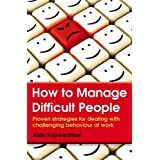 We all face difficult situations in our lives and some people more than others. However, I’ve made up my mind to be as happy as I can and I recommend you do the same. There’s a story about a young man who was really into positive thinking. His workmates used to make a fool of him and of course, he was challenged by their taunts. He told them one day that positive self-talk was so powerful that if he told himself he could fly through the air, he’d be able to fly. What I’m suggesting is that – in all the things we face in life, we focus on the positive aspects. Ironically, it’s often the case that if you solve a customer’s problem, apologise and recover well, the customer will forgive you and become even more loyal. There will always be challenges to face with other people and other day-to-day aspects of life. Focussing on the positive will make them so much easier to deal with. This entry was posted in communication, motivation, Uncategorized and tagged Alan Fairweather, Behavior, communication, confidence, Critical thinking, Motivation, motivational speaker, Optimism, self-belief, self-talk, success. Bookmark the permalink.